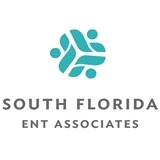 South Florida ENT Associates (Pembroke Pines) - Book Appointment Online! Dr. Weisstuch is very pleasant and friendly. He is very knowledgeable and took the time to explain everything thoroughly. Highly recommend! He listened and looked me in the eye and asked opened ended questions as well as follow up questions. Great service and very courteous.